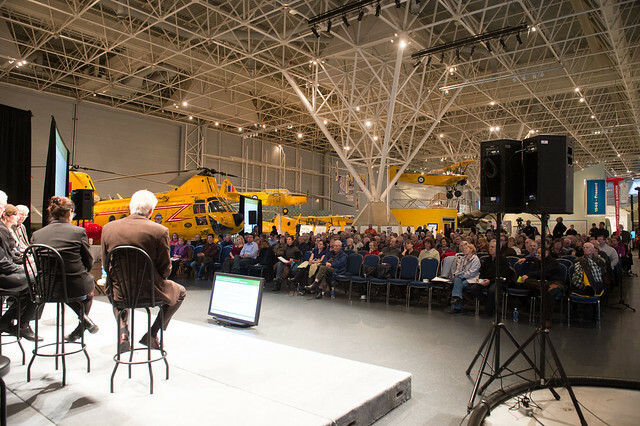 Roughly 600 participants came out to the first CLC Rockcliffe Ideas fair this past Monday, November 26th. Good discussion was had by all and the project team was pleased by the interest, support and enthusiasm shown by the community for this event. Canada Lands Company is hosting an ideas fair in order to share information about the former Canadian Forces Base Rockcliffe site. Residents will have an opportunity to contribute ideas about what they would like to see on this site. Sessions will include an informational presentation followed by an an interactive ideas fair. CLC’s goal is to prepare a Community Design Plan with the support of the community.